Punjabi singer-actor Diljit Dosanjh will soon get his own wax statue at Delhi’s Madame Tussauds museum. According to a report, the statue will be unveiled on 28 February in Delhi. Ahead of the event, Madame Tussauds is also running a contest where in the fans will get to meet the star. Diljit’s statue will stand among the likes of Amitabh Bachchan, Shah Rukh Khan, Salman Khan, Katrina Kaif, Sonu Nigam, Lady Gaga, Justin Beiber, David Beckham, Virat Kohli, Michael Jackson and others. 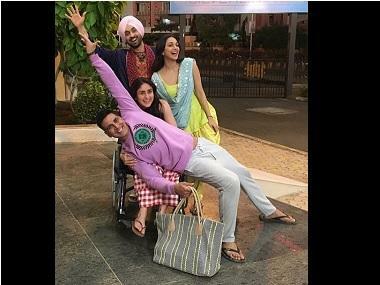 Diljit made a prolific debut in the multi-starrer project Udta Punjab opposite Kareena Kapoor Khan, Shahid Kapoor and Alia Bhatt. Post the success of Udta Punjab, he went on to star in Anushka Sharma’s Phillauri and sports-drama Soorma, based on the life and times of hockey player Sandeep Singh. He will soon be seen in an out-and-out comedy Good News, starring Kareena Kapoor Khan and Akshay Kumar. He will be paired opposite Kiara Advani in the film.